Cannabinoids, altogether, have six classifications: Classical (phytocannabinoids: CBD, THC et al. ), Non-Classical (synthetic), Hybrid (has classical and non-classical structure), Aminoalkylindoles (WIN55 is the most interesting), Eicosanoids (endocannabinoids and their synthetic clones, anandamide in particular), and Other (everyone else still poorly understood). In action – classical, plant occurring CBD works alongside our bodies own internally produced anandamide (AEA). In both male and female cannabis sativa plants, CBD is found in the stalks, buds, and leaves of the . The latter, for industrial hemp at least, contains the greatest concentrations. Hemp and hemp products are legal in the United States, largely due to the male hemp plant’s inability to deliver a euphoric “high” like the buds of the female cannabis plant. 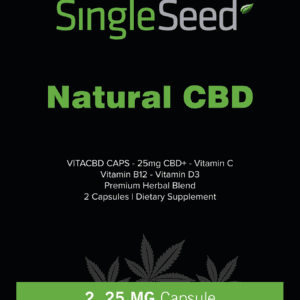 Resultantly, CBD e-commerce is booming. The ECS system and CB receptors. CBD is legal because it fails to deliver a high like THC. CBD molecules have a very low affinity for the CB1 and CB2 receptors of the endocannabinoid (ECS) system. Preposterous, one may think, that a cannabinoid does not even directly interact with its native system. Yet, this is exactly how CBD works. This selective nature of CBD exactly why the compound is so effective without the traditional euphoric psychoactivity common of THC ingestion. Conversely, CBD promotes CB receptor binding through increasing levels of anandamide (AEA), an endocannabinoid naturally occuring in our bodies. Typically, fatty acid FAAH regulates anandamide levels. However, CBD inhibits FAAH from doing its job, therefore allowing for an unregulated increase of endocannabinoid AEA. 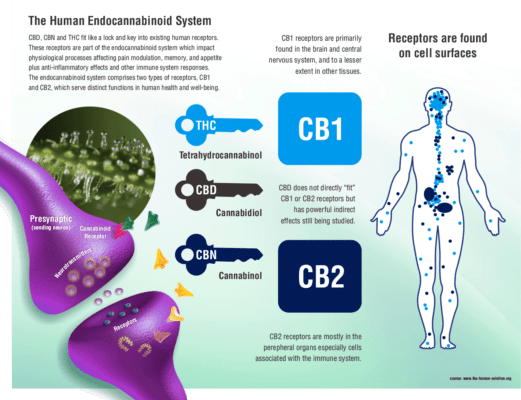 With ample levels of anandamide now in the system, the CB receptors receive activation from their endogenous counterpart, setting off the chains of positive effects. Although the same molecule is treating all these different diseases, it often has help. CBD acts to increase endogenous AEA. Cannabidiol and anandamide are something of a dose double team. For many receptors do receive direct agitation from the CBD molecules alongside indirect agitation through anandamide. The 5HT and TRP systems both benefit from activation by both cannabinoids, exogenous and endogenous. As do a number of the orphan G-Coupled Protein Receptors (GRPs). The body knows which systems are out of balance, and the ECS is famous for its ability to return the body to homeostasis. Via CBD administration, a chain reaction of messages travel through the body from the cell to the synapse. This interferes with whatever noxious, algesic, inflammatory, stress conditioning, proliferating activity it’s picking up. With such a high volume of receptors in such varying networks, it is no surprise the research is furthering around potential CBD treatment. Anxiety, Cancer, Diabetes, PTSD, Arthritis, Crohn’s Disease, Epilepsy, Schizophrenia, Osteoporosis, Depression, etc. are all at of particular interest. CBD is the warm blanket for a weary body or the reassuring hug of the anxious mind. It’s also an fierce cancer combatant and sheriff for stress in the body. 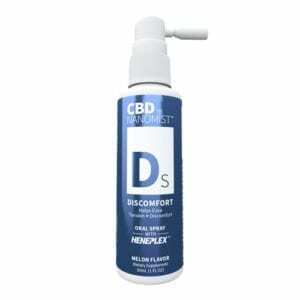 Likely, there is some symptom that CBD can aid in the treatment of in almost every person. Remarkable, and it does so without the debilitating side effects and without a high. Maybe it’s time to give a CBD supplement regime a try…. 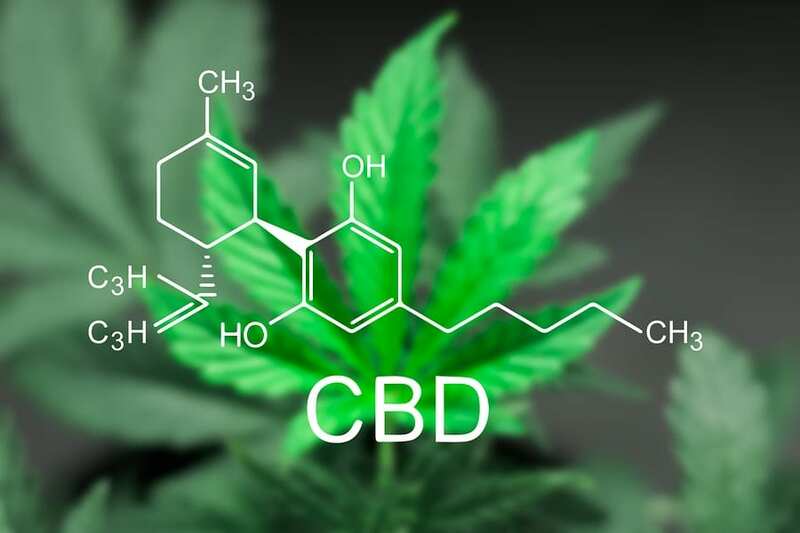 This entry was posted in Uncategorized and tagged anxiety, cannabidiol, cbd, cbd oil, does cbd get you high, hemp, industrial hemp, legal, what is cbd.